Our service centre’s located in Penrith, with excellent access to the M6 and A66 cross-country route. As we have a service centre in Penrith, it makes it easier for us to quickly respond to any incidents within the North and around Carlisle. Here at Permatt, we understand that each business faces different challenges, this is where our expertise lie – we can create tailored-made materials handling packages to suit your business needs. Penrith was actually once the capital of Cumbria! The picturesque town is a creative hub of the Eden Valley, with a mix of traditional shops and sophisticated arcades. Situated in the Lake District, Penrith lies just outside of the National Park – with many outdoor and water-based activities nearby. Penrith is built on a lot of history, the imposing ruins of Penrith Castle overlook the town. In care of the English Heritage, the castle can be visited by anyone and is accessed by a wooden footbridge that spans the castle’s moat. Nowadays, you can unwind in a boutique cafe or restaurant in Penrith, or just simply take a stroll down the cobbled lanes of the town centre. We will never leave you hanging! With our head office located in Newcastle, we provide service all around the North, with our 2-hour response unit to breakdown calls within the North East and 24-hour response to calls within Cumbria. That way your business is never left to suffer if you run into any issues with your forklift truck. 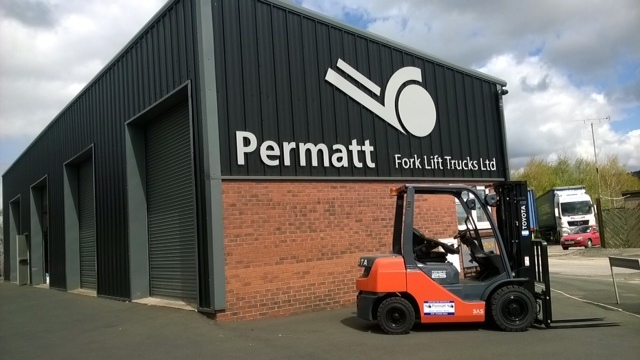 If you are seeking a solution for your business our Permatt fleet has a variety of forklift models to help you achieve maximum productivity. Whether you’re based in Penrith, or anywhere else in the North of England we can offer a total solution of any materials handling problem. Please do not hesitate to give us a call today on 0191 216 5320 for free independent advice.